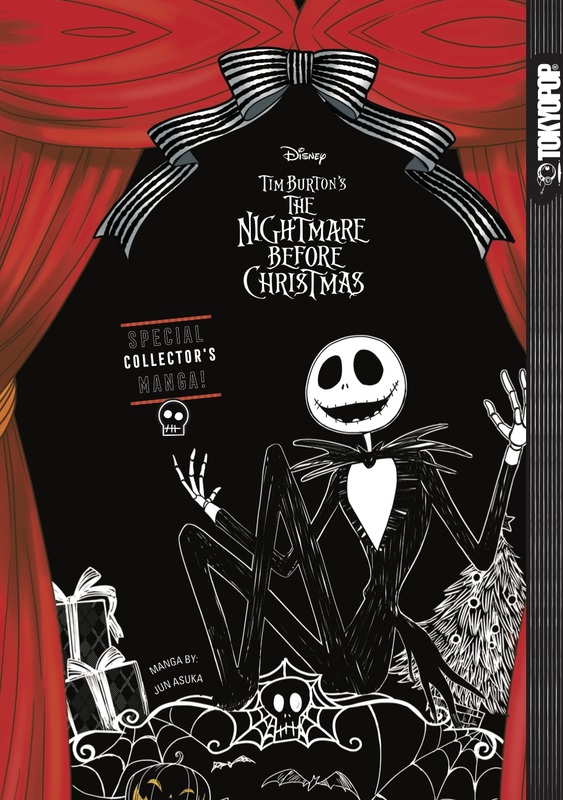 It’s been almost 25 years since producer Tim Burton and director Henry Selick took us all to Halloween Town and introduced us to Jack Skellington and all of his friends, and the timeless holiday classic is finally getting a sequel, with Tokyopop set to release the new comic book series The Nightmare Before Christmas: Zero’s Journey in 2018. THR reports that Manga publisher Tokyopop has secured a license for the first-ever Nightmare Before Christmas comic book project that expands the story beyond what was seen in Tim Burton’s beloved 1993 film, as Nightmare Before Christmas: Zero’s Journey, will follow Jack Skellington’s dog, Zero, as he gets lost in Christmas Town. The format of the project will be unusual for the publisher; it will initially be serialized as full-color single issues released to comic book stores, before being collected in two different formats simultaneously, in full-color trade paperbacks and black and white “pocket-sized manga” volumes. The series, written by DJ Milky with art from Studio DICE (which produced artwork for the manga adaptation of Disney’s Beauty and the Beast), follows up on Tokyopop’s adaptation of the original story, the cover for which is below. Zero’s Journey is targeted for a Spring 2018 launch, with more information about the series to be released in coming months.